“World of Dance” is about to add a few more big names into its expert panel of mentors and judges. NBC tells TheWrap exclusively that the summer dance competition series starring Jennifer Lopez, Derek Hough, NE-YO and Jenna Dewan is bringing five famed choreographers and performers in as guest mentors for its currently-airing second season. These include Paula Abdul, Julianne Hough, Mel B, Savion Glover and Ciara. Professional ballerina Misty Copeland has been set as a guest judge. The first batch of short-term mentors will begin their residency just as the show shifts to its new night, time and length. Currently airing after “America’s Got Talent” at 10 p.m. on Tuesdays, “World of Dance” is switching to a two-hour telecast on Wednesdays at 8 — with the two episodes of “The Cut” round (the reason for the guest mentors’ entrance) set to air Wednesday, Aug. 22 and Wednesday, Aug. 29. Over those two weeks, Tony Award-winner Glover will collaborate with J.Lo and the Junior Team division, while “Dancing with the Stars” powerhouse Julianne Hough — who will be working with her brother, judge Derek Hough — coordinates with the Upper division. “America’s Got Talent” judge Mel B will then be helping out the Juniors by joining forces with judge NE-YO, while Abdul teams up with host/mentor Dewan on the Upper Team. 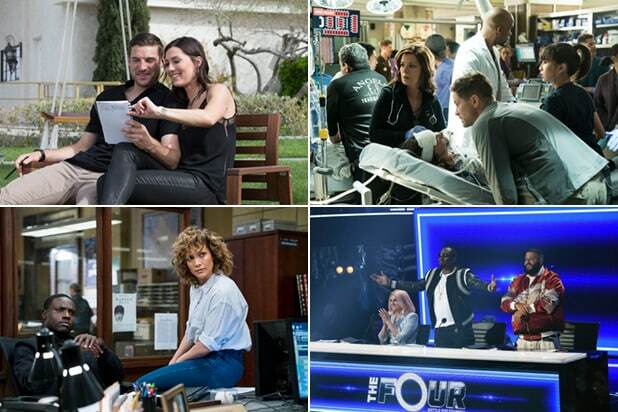 Here’s what the competition will consist of during those episodes, per NBC: In “The Cut,” the acts face the deepest and most intense cut of the season. The judges will score each act’s performance based on their artistry, precision and athleticism. Only the top three highest-scoring acts from each division will move on to the Divisional Final. In the “Divisional Final,” the top three acts from each division will compete for a spot in the “World Final.” The top scoring act from each division will be one step closer to winning the $1 million grand prize. Copeland and Ciara will be stopping by during the Divisional Final on Sept. 5, with Copeland, principal dancer for the American Ballet Theatre, serving as guest judge and the Grammy Award-winning singer a guest mentor. So far this summer, “World of Dance” is averaging a 2.1 rating in the advertiser-coveted adults 18-49 demographic and 8.5 million viewers, according to the “most current” Nielsen data, which includes a week of delayed viewing. Lopez, Elaine Goldsmith-Thomas and Benny Medina executive produce “World of Dance” for Nuyorican Productions. Also executive producing are Kris Curry, Matilda Zoltowski, Alex Katz, Alex Rudzinski, David Gonzalez and Matthew Everitt. The series hails from Universal Television Alternative Studio in association with Nuyorican Productions and World of Dance. “World of Dance” airs Tuesdays at 10/9c on NBC and will expand to a two-hour telecast beginning Wednesday, July 25 at 8/7c.